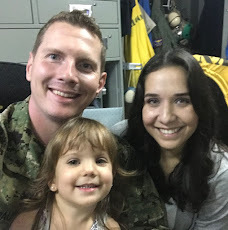 A Modern Navy Wife : What Weekend? There was a weekend? I am pretty sure I slept away the past three days on the couch. I remember waking up at some point and making a lasagna. I think that was Friday. Maybe Saturday. At least I had the for thought to leave something in the fridge for hubby to eat while I was comatose. I am not sure if I am getting a sinus infection or of it is just some ungodly tree blooming away its evil pollen just for me. It looks like a doctor's appointment is in my future this week. Boo on sickness. Boo. Ahh....I hope you feel better soon!